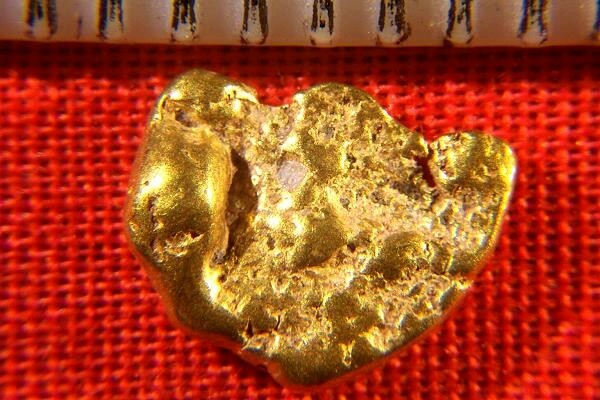 Prized by collectors and investors, Natural California Gold Nuggets like this one are a beauty to behold. 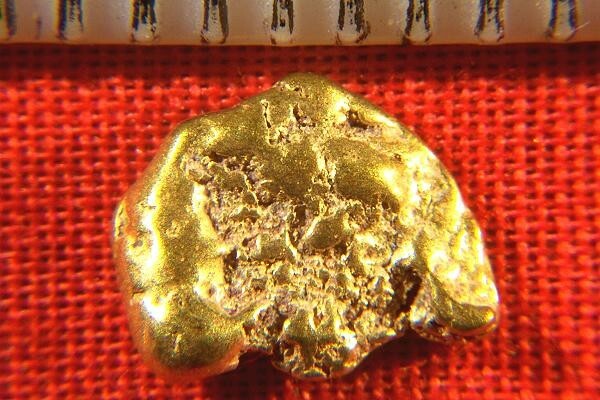 Since the gov't banned suction dredging in the rivers of California in 2009, hand selected jewelry/investment grade natural gold nuggets like this one from California are hard to find for sale. Weighing in at 12.3 Grains (0.80 Gram), this natural gold nugget is 5/16" (9 mm) long. This golden beauty comes with a certificate of authenticity.